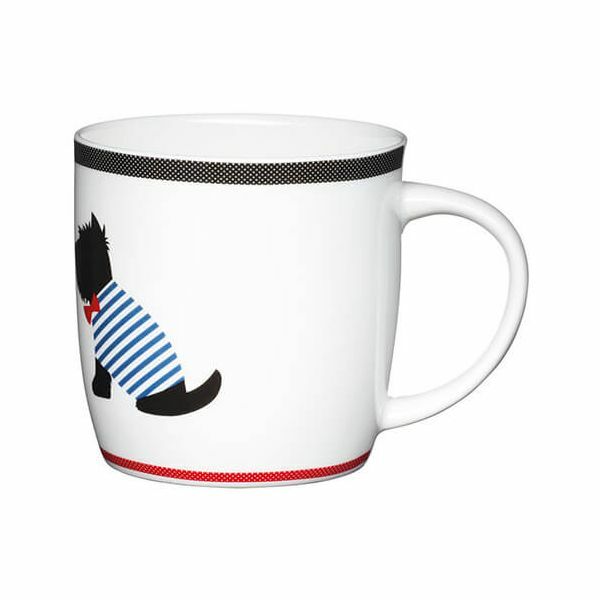 This china mug from KitchenCraft is white with black band around the rim and features a single westie with striped blue coat and red bow tie. Perfect for your morning tea or coffee to brighten up the day. The barrel shape design features a generous sized handle that is comfortable to hold and provides a firm grip.